After graduating, she stayed in Nashville to attend law school at Belmont University. During her time at Belmont, Jenna was a founding member of the Family Law Society, in which she was later elected as President of the organization. She was able to enhance her family law knowledge through a summer internship with a boutique law firm on Music Row, where she drafted divorce documents and worked one-on- one with clients to ensure their needs were being met. In addition to family law, Jenna always had an interest in criminal law, and catered her law school education around learning more about this area of law. Jenna’s interest in criminal law led her to an internship with the Rutherford County District Attorney’s office. Through this internship, and while working under a limited license, Jenna was assigned the task of prosecuting cases as a representative for the state of Tennessee. 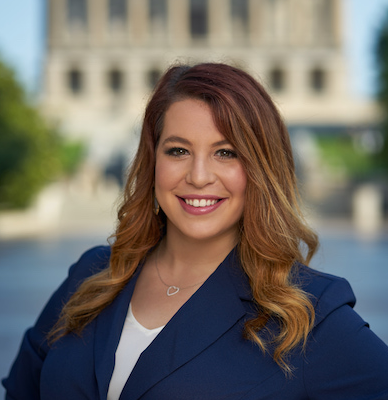 Jenna is licensed to practice law in the state of Tennessee as well as in federal court for the Middle District of Tennessee. She is a member of both the Nashville Bar Association and the Tennessee Bar Association. Before joining the firm, Jenna worked for a small criminal defense firm in Downtown Nashville. Jenna practices in the areas of civil litigation, criminal defense, and personal injury law.